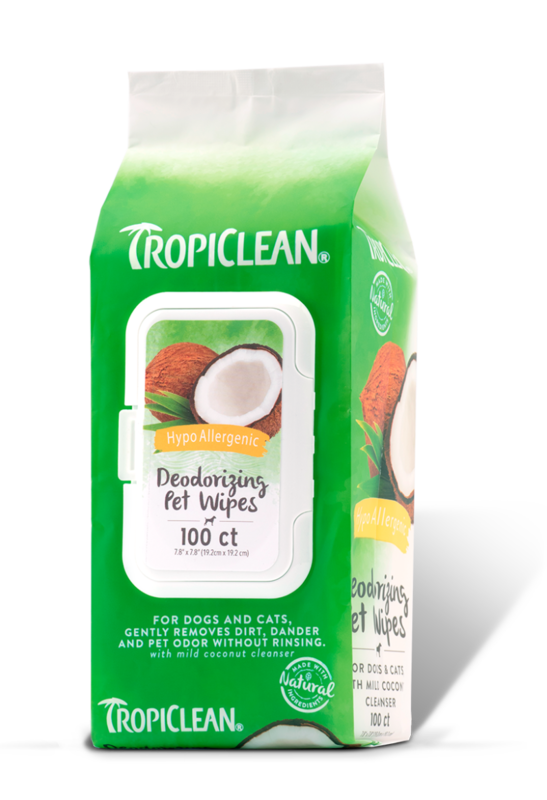 Great for cleaning dirty pawsWe love how easy it is to clean our dogs paws after a walk with these wipes. However I am wondering if it is safe for dogs to ingest? Our dog tends to lick her paws after we use these. Hello and thank you for the kind words regarding the TropiClean Pet Wipes. The amount of the formula in the wipe that a dog could ingest by licking their paw would be no where near the amount that one would have to consume to cause an issue unless they had an allergy to an ingredient in the wipe. Since you used the Hypoallergenic wipe, this would not be an issue. We have had no reports of any pet having an adverse reaction due to ingestion of wipe material, and we have been making it for many years. We hope this information helps, and thank you for using TropiClean Pet Products!